3D printing enthusiasts will LOVE this tape! Cover your printer bed deck for easy removal of prints and replace tape easily as it wears. 3D printers do not come with good surfaces for easy print removal. 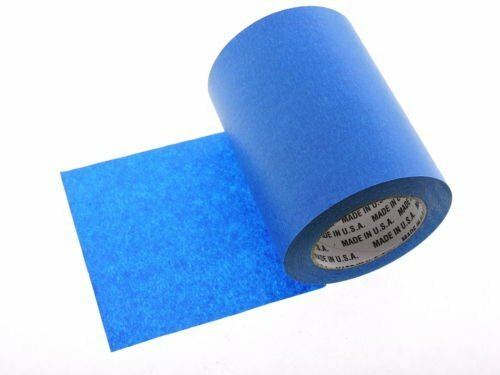 This Blue Painters Tape is Professional Grade multi-use Contractors tape featuring a specially formulated, high tack adhesive. Works for textured, semi-rough, or smooth surfaces and has the tackiness it needs to adhere to your surfaces yet allows for clean removal up to 21 days. 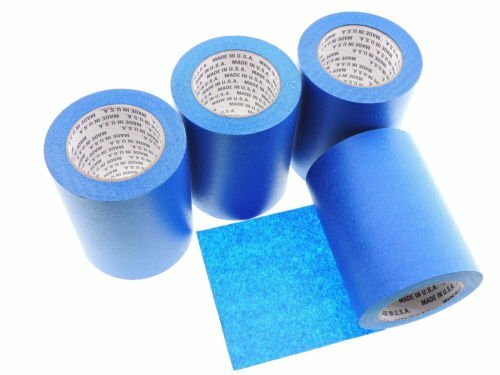 High performance masking tape is for general industrial, construction, and do-it-yourself use. The acrylic adhesive system will not dry out or lose holding power. Works well on drywall, glass, hardwood floors, wood trim, and a variety of surfaces. Most typical use is LATEX paint jobs and window protection mask off. Very Important: Surfaces must be well cleaned, dust free, greaseless, and very dry before application. While the backing of the tape is moisture resistant the adhesive is definitely not. ALL adhesive is pressure & heat sensitive. Make sure you press it firmly after application. Apply at room temperature or above if possible. The dryer and warmer the installation area, the more you run your fingers over it, the better the adhesion (less bleed). REMOVE ASAP! (always pull gently at slight angle AWAY from painted edge) Painters tape is known as semi-permanent removable, it gets stronger every day. The longer you leave it on the more difficulty removing it. Rolled or brushed paint jobs require much sooner removal than sprayed. Blue Painters Tape is not for everything! May not play well with all types of oil based paints, lacquers, etc. You must be willing to experiment, there are 100's of kinds of tape for a reason. Other uses: 3D print bed masking or printer deck covering, Glue or Caulk lines, Over spray protection, Chrome protection when cutting or grinding. Premium #1 Grade USA MADE Product - Thicker paper, Stronger adhesive for Contractors & Pros 6 Mil High Tack creped backing, 22.0 steel adhesion, 20 lb tensile strength, 9% elongation UV Resistant for 10 days up to 150 degrees outdoors, 40-125 indoor range for 21 day clean removal 3D Printer bed print surfaces - Strong, flexible, durable, versatile - broad range of applications Dispenser friendly, Pulls off roll VERY quick without tearing, needs LESS pressure to stick down.